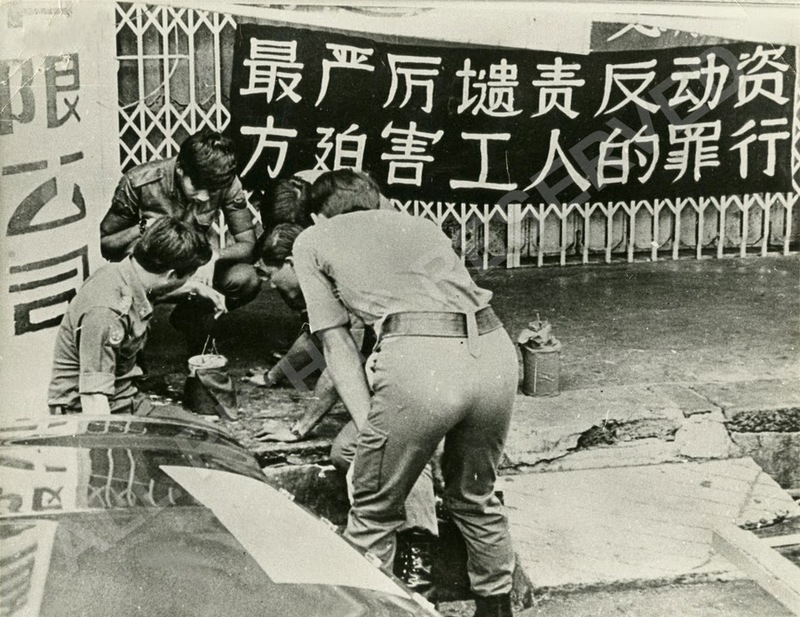 It was just 6 am on Friday, 20 December 1974, when residents of Katong woke up to a mighty explosion. A bomb carried by the front seat passenger on his lap prematurely exploded as the car travelling down Still Road was just about to reach the junction with East Coast Road. It instantly killed the passenger, a Malaysian and ripped him open. The blast threw out the driver, a driver on to the road and he was eventually to die in hospital despite surgery. 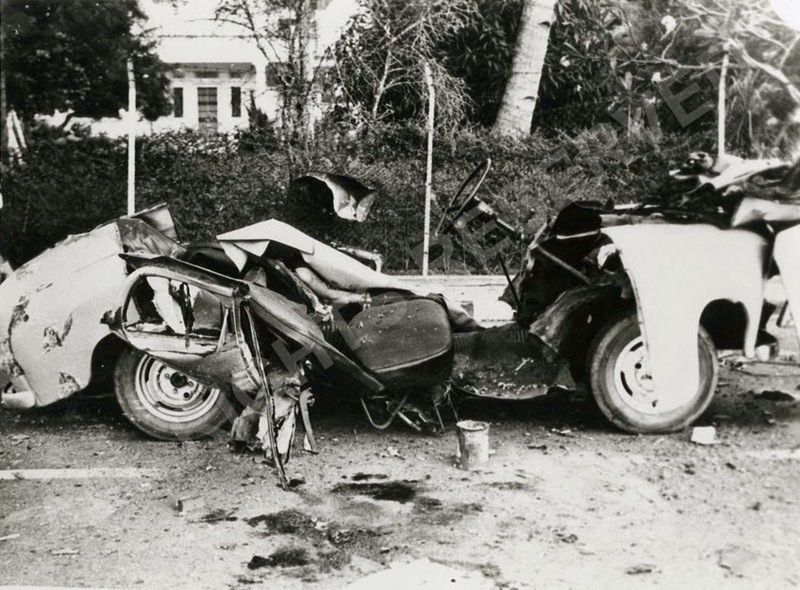 The driver an old boy of Chung Cheng High School was then an active member of Barisan Socialis. A third man seat in the back seat limped away and escaped. 3 other bombs were also discovered amidst the wreckage. Also found were flyers of Communist Party of Malaysia satellite organisations Malaysian National Liberation Front and the Malaysan Communist Youth League. The trio were on their way not to light up the Christmas Tree at Katong Holy Church but to bomb the owner of Nanyang Shoe Factory located in JB at his residence in East Coast. The owner and his workers were in the midst of an industrial strife. On Sunday, 22nd December at the stroke of midnight, Dr Poh Soo Kai and his wife Grace left their home in their Toyota Corolla and headed North. A friend called G Raman, a lawyer in private practice and fellow traveler followed them in his car, a Volvo. They crossed the Causeway and headed for a Jetty in Masai near Pasir Gudang. The waited a while in the dead of the night, a boat with 2 males crossed over from Singapore. One of them was 3rd man from the car and he was injured. They were driven quite a distance to an isolated wooden house where the injured man was treated. The lawyer took leave as he was due in Court in a few hours time to defend one client who was being tried in court for rioting with two other defendants. He was originally asked to defend two of them but the main defendant by the name of Tan Wah Piow chose to conduct his defence. Within a year, the lawyer went on to hire a young female lawyer called Teo Soh Lung for his practice. 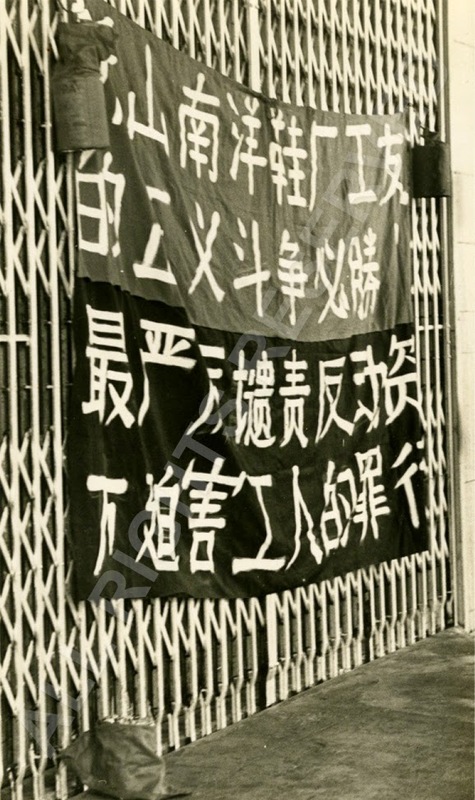 Since Singapore's history began, there were 3 main incidents involving detention without trail. First was Operation Coldstore in 1963, the Euro Communists arrests in 1977 and Operations Spectrum - the Marxist Conspiracy in 1987. 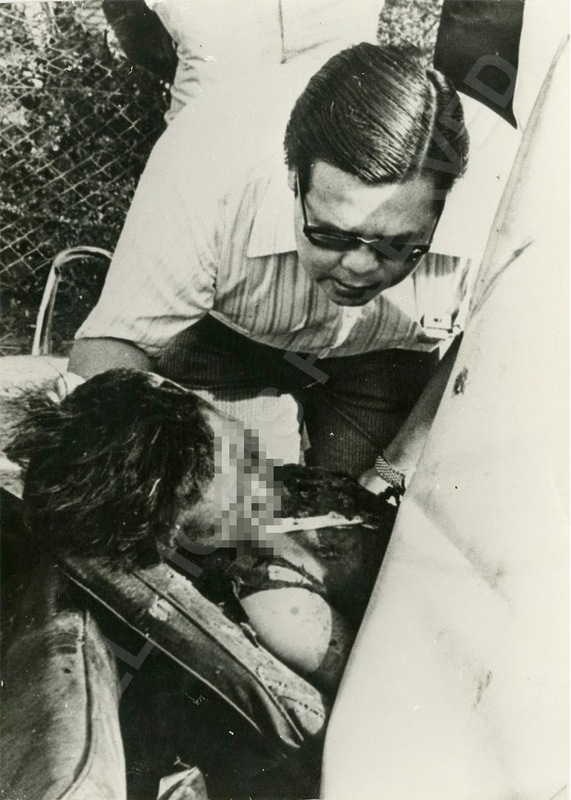 Dr Poh was one of the stars of the first incident in 63, G Raman was main protagonist in the second in 77 and Teo Soh Lung in the third in 87. Note the link involving 3 individuals over a span of 25 years. Take Dr Poh Soo Kai for example. He was born with a silver spoon, a member of OCBC's Lee Kong Chian clan, did not have to work a day and could have lived a life of luxury. His first loves was English literature and poetry. When he began his medical studies at University of Singapore, he leaned towards the common man felt strongly about looking after the downtrodden and the exploited. He became a member of the Univeristy Socialist Club and became editor of Fajar. The British arrested the lot and charged them in court for sedition. A young Singapore Lawyer from Cambridge arranged for their defence and they were acquitted. Poh Soo Kai was in someone's basement in Oxley putting together flyer for the Owner's electoral debut. These are men of conviction, resolve and not out to make money. They wanted to save those who could not help themselves. They preferred a classless society. The was only one issue. The means to the end was not limited. 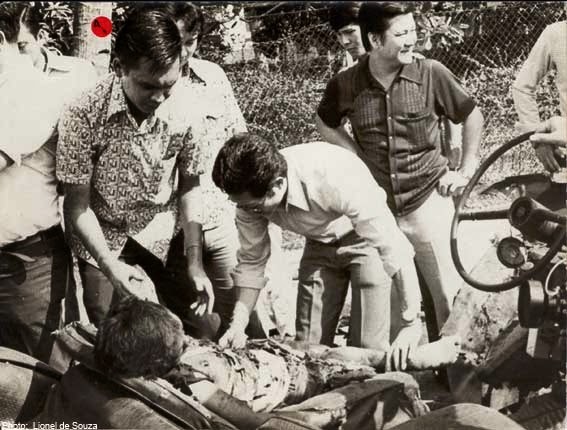 The body of the dead saboteur being examined by the late pathologist Professor Chao Tzee Cheng.